Sports World with Evan Hughes is an online sports radio show on Blog Talk Radio. We cover all sports from High School to Professional. 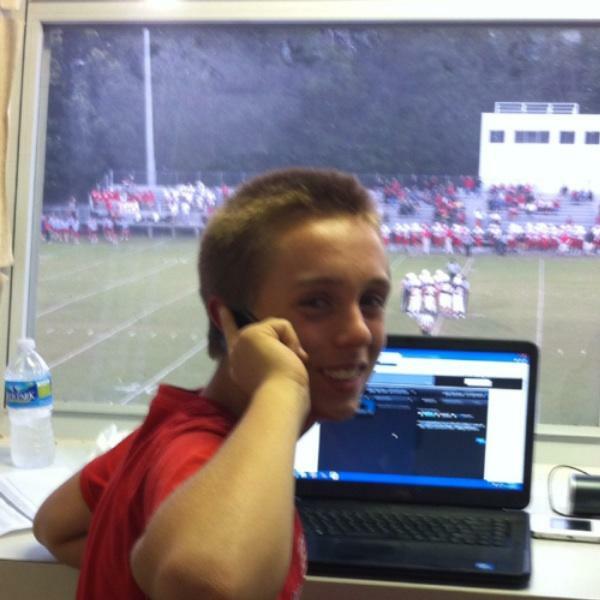 Sports World with Evan Hughes also covers the Patrick Henry Patriots. Sports World with Evan Hughes is back on air with guest Blake Jones! We'll be talking about the MVP race between Durant and LeBron, College Basketball, and spring training! Merry Christmas to everyone and thanks for tuning in to Sports World! We have an exciting show today with guests Ryder and Danny Barribeau. If you have any football questions, tweet us @SportsWorldEH or give us a call at 858-769-3350. We are live from Rockville, Virginia talking about all sports! Will and Greg Futch are our guests, so call in with your NFL questions! It's was one WILD weekend of sports in College Football and the NFL. Don't miss our recap plus a MNF breakdown.